Gavin Paul’s research interests centre on Shakespeare and early modern drama. His work on the intersections of editorial practice, textual theory, and performance history has appeared in The Review of English Studies, Shakespeare: The Journal of the British Shakespeare Association, The Bulletin for the Society of Renaissance Studies, Comitatus,The Upstart Crow, and Literature Compass (where he is the three-time winner of Blackwell Publishing’s Essay Prize). His doctoral thesis analyzing the history of Shakespearean editors’ engagements with performance won the Paul G. Stanwood Prize from UBC and the J. Leeds Barroll Dissertation Prize from the Shakespeare Association of America–this international prize is awarded in recognition of the year’s outstanding work in Shakespeare studies. His first book, Shakespeare and the Imprints of Performance (Palgrave MacMillan, 2014), has received very positive reviews and will be reprinted in 2016. His current projects include a book-length study of the performance history of Shakespeare and Middleton’s Timon of Athens (Manchester University Press) and, along with Anthony Dawson, editing the Internet Shakespeare Edition of Macbeth. He is also interested in comic book literature and literary responses to 9/11; his work in these fields has appeared in American Periodicals, European Comic Art, and The Encyclopedia of Comic Books and Graphic Novels. Gavin began teaching in Arts One in 2010 and he is thrilled to be back for the Knowledge and Power theme. 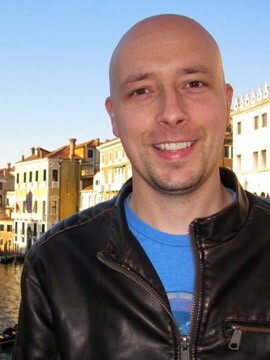 He has previously held a SSHRC Postdoctoral Research Fellowship and a limited-term Assistant Professorship in the Department of English at Simon Fraser University.